Today’s Chicagoland real estate market has seen a significant increase in tenants looking for a home, thus a shortage of rental properties available. Naturally, when demand is high and supply is low, the price of supply goes up and so does the scrutiny of the property owner and their tenant. Why? Because there are more tenants to choose from, therefore a higher probability of finding a match a landlord feels comfortable with. I’ve spoken before regarding the preparation necessary for tenants to present their case in the best light, with focus on being prepared, organized and realistic. Today, I’d like to focus on the Landlord. When you, as the landlord, are receiving numerous applications, what is the process that you, or your Realtor, perform to protect your asset? Run their credit and background check. If they are willing to go through the process and pay the $30-$50 fee (per adult), you’re heading in the right direction. We use mysmartmove.com which for $30 does credit and background via TransUnion in one shot, it is a free service for the landlord, and only requires the tenant’s email address. Tenant pays the fee from the comfort of their home. Request a hard copy application to identify how many people, pets, cars, etc. Request 2-3 Months of employment pay stubs to verify employment and amount of income. Income is often paid bi-weekly, so do the math. Furthermore, use a 1:2 or 1:3 rent to income ratio. $1000 rent: $3000 monthly income. This is up to the landlord, but 1:2 ratio at the least would be recommended. If you are not 100%, but tempted, consider a 6 month trial month-to-month agreement which would allow you to break lease with 30 days notice (in IL, not sure about other states). If they prove themselves, you can sign them to a longer lease or keep M-2-M status. Remember, just because someone signs a 1 year commitment, doesn’t mean they will keep it, so minimize risk. Always request a cashiers check for 1st month’s rent and for the security deposit to ensure that funds are secured prior to tenant taking occupancy. Nothing worse than a bounced check once tenants take possession. Pets – if you agree to allow pets, collect a pet deposit separate from the “human” security deposit. You can agree to refundable, non-refundable, but ask good questions about the type of pet, and how many. If someone says they have 2 dogs but are willing to move in without them – BEWARE, as 9 out of 10 times these pets will start coming around, and not too many people are willing to part with their pooch. Same applies when someone has 2 pets and is willing to just move in 1….request pet deposit upfront and make it refundable if no pets move in. Call the references and do additional research especially if previous landlord was a family member as they will say what ever helpful for their family. Arrange for Auto-Bill Pay that many banks offer today to automatically withdraw funds from their account on the 1st of the month, or date you mutually agree to. Check them online, Facebook, etc to see what they like to do, post, etc. Meet them in person, ask good questions, make assumptions based on your own experiences, and most of all, use your gut. If someone offers to send you a cashier’s check, especially out of the country, under the premise of a job transfer to the US, and asks that you deposit it toward security deposit, and mail them the difference – this is SCAM. If someone comes to you in the middle of Bankruptcy, ensure they do not include your rental in it. Consult an attorney on this one. Folks with poor credit due to a short sale, divorce, or bankruptcy are often placed in a position to stop making mortgage payments due to the unfortunate process “suggested” by banks. Does this mean they will not pay rent? Not necessarily – review their credit prior to the problem and see what their habits were like. Many people were heart-broken to hear they needed to stop payment on their mortgage due to a short sale or bankruptcy. 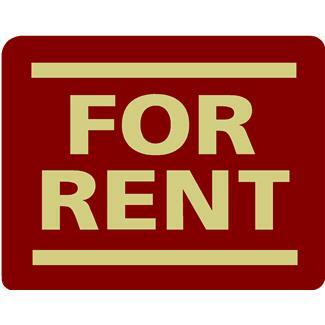 A tenant / landlord relationship is a financial relationship between complete strangers. Although there are plenty of slum lords and professional tenants, there are also many wonderful people who have suffered due to the economic crisis and can be great tenants, even with credit blemishes. It is important to establish mutual trust, confidence and outstanding communication.